Colorado’s four national parks and eight national monuments are undisputed must-sees, but the words “unspoiled landscape” will have a new meaning once you visit one of the state’s more than 40 federally-designated wilderness areas. The ferocious sawtooth peaks and treacherously steep terrain of the Gore Range make for some advanced mountaineering, but pretty much any­one can enjoy the picturesque views of this mountain range while exploring the rest of the Eagles Nest Wilderness, a 133,496-acre area located just north of Silverthorne and Vail. Stay for a weekend at Piney River Ranch, which offers no-frills cabins perched on the scenic waterfront of Piney Lake. It’s also located at the trailhead of Upper Piney River Trail, a 5.6-mile out-and-back trail with cas­cading waterfalls at the end point. If you’re feeling more adventurous, keep going, as this trail also provides access to 13,580-foot Mount Powell — the highest peak in Eagles Nest Wilderness. It could be the solitude that makes our minds turn inward or perhaps it’s the sensory-filling beauty that reignites our sense of wonder, but one this is for certain: There’s something about wilderness adventures that makes the imagination soar. The journey to Wheel­er Geologic Area is no exception. Tucked away in La Garita Wilderness, an expanse of nearly 130,000 acres within the Gunnison and Rio Grande national forests, a hidden enclave of otherworldly rock formations awaits. It shows off cascades of wicked spires, clusters of mushroom-like hoodoos and deep, smooth folds in the earth, as though the ground was draped like fabric across the mountainside. The 14-mile round-trip hike offers a diverse journey. Start with a water crossing through a shallow (and bracingly cold) creek, and follow the trail through wide-open meadows dappled with colorful wildflowers, alongside stands of trees and through cool, shaded forests. Backpack in with your essentials for an overnight stay at one of the dispersed campsites near the end of the trail, or plan an all-day, in-and-back trek with a riverside cabin at Antlers Rio Grande Lodge in Creede as your home base. Either way, you’ll return with some incredible photographs (both on your camera and mind). Near Crested Butte and Paonia, across the Gunnison and White River national forests, you’ll find the 65,443-acre Raggeds Wilderness. The aptly named area is home to jagged, rocky peaks, dramatic summits and sweeping valley floors that translate to an elevation range of 7,000 to 13,000 feet — but that’s not where the showmanship ends. Summertime welcomes a cascade of color: verdant valleys frenzied with swaths of Indian paintbrush, Aspen sunflowers, blue columbine and lupine, while autumn blazes through the hillsides with a shimmering cloak of golden aspen trees. Surround yourself in the breathtaking beauty at Oh Be Joyful Recreation Area, where you can pitch a tent at a waterfront campground just 15 minutes outside the charming mountain town of Crested Butte. These campsites are located along the Slate River, meaning it’s the perfect spot to set up a camp chair, drop a fishing line and let your thoughts wander. Thankfully, you don’t have to be an ultra-marathoner or an extreme mountaineer to experience all of Colorado’s wilderness areas. Simply hop in the car — the 57-mile Collegiate Peaks Scenic and Historic Byway stretches from Granite in the north to Poncha Springs in the south, then east to Salida. 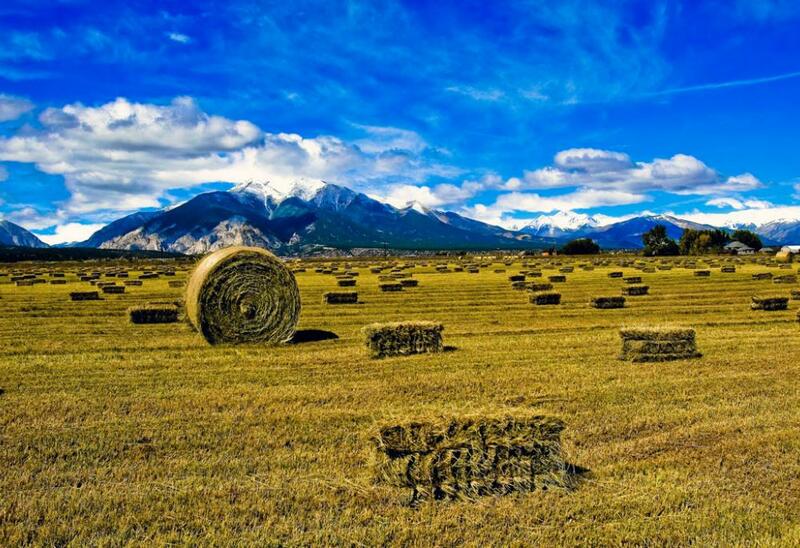 All along the way, you’ll be rewarded with spectacular views of the Collegiate Peaks, a section of the Sawatch Range that includes some of the highest peaks in the Rocky Mountains. Many are named after famous universities, such as Harvard, Yale, Oxford and Columbia. The Collegiate Peaks Wilderness near Buena Vista, which covers 167,584 acres, boasts eight of these impressive fourteeners (peaks reaching more than 14,000 feet in elevation) — all within a concen­trated area. Make a pit stop at the Collegiate Peaks Scenic Overlook, just north of Highway 285 on the east side of the Arkansas River, for panoramic vistas of the Arkansas River Valley and the mountain range in full view. For anglers dreaming of a backcountry fishing excur­sion, the 37,236-acre Hermosa Wilderness, just half an hour north of Durango, offers an open invitation to those seeking a quiet journey. This is the place to find an abundance of trout — rainbow, cutbow, cutthroat and brook — who swim in the pocket water of large boulders while lazily inhaling plumes of dry flies. Start your journey at the Lower Hermosa Campground, where you’ll find the trailhead for the 18-mile Hermosa Creek Trail. Then choose from pristine fishing spots along the way, whether on Hermosa Creek or by following the intermingling offshoot creeks: South Fork Hermosa, Salt or Deer creeks, among others. For those less experienced with fly-fishing, let some­one else show you the way with a guided hiking and wading trip with Rio Epic Outfitters, whose experts can impart valuable knowledge on casting (and catching), all while showing off the spectacular scenery of the San Juan National Forest. 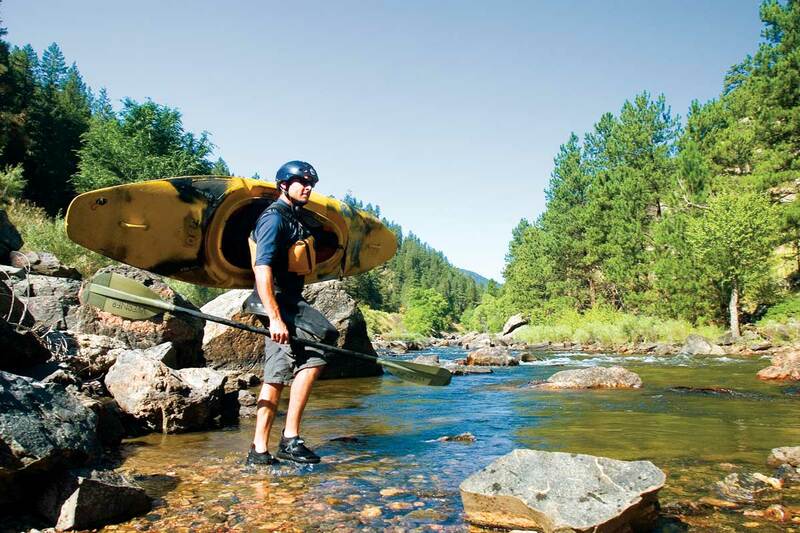 Discover even more water adventures about an hour west of Fort Collins. The 9,200-acre Cache la Poudre Wilderness might be small in comparison to others, but what it lacks in size is made up for in awe-inspiring scenery. In fact, its namesake Cache la Poudre River is Colorado’s only nationally designated Wild & Scenic River. As you drive along winding Highway 14 through the dramatic cliffs of Poudre Canyon, the river views are spectacular (don’t miss the Poudre River Falls Lookout), but the best way to experience this area is on a rip-roaring rafting ride. Book a guided trip with A-1 Wildwater Rafting, which offers everything from family-friendly Class II trips to splashy, heart-pounding Class IV excursions. Experience the pristine waters and thrilling rapids as you paddle downriver, gliding through deep canyons and past lush ponderosa pine forests. The mountains are calling and you must go — but you only have a day. No worries: Indian Peaks Wil­derness, which borders the southern side of Rocky Mountain National Park, offers all the postcard-worthy scenery you’re seeking within a short drive of Nederland, Boulder, Winter Park and Grand Lake. Boasting more than 50 lakes, 28 trails covering 133 miles and six passes across the Continental Divide, it’s easy to find a little peace and quiet in this wilderness area despite its popularity. Go on a wildlife scavenger hunt as you trek along part of the Continental Divide Trail, which skirts the edge of the wilderness area, or as you explore the latticework of shorter trails that end in stunning views of alpine lakes and snow-speckled peaks. Keep your eyes open for our real locals: everything from yellow-bellied marmots and pika to moose and elk. Read 7 Colorado Adventures You Didn’t Know About and 8 Ways to Love Summer in Colorado. Check out our Field Guide and Colorado Adventure Blog for more off-the-beaten-path adventures. Photos: Kayaking in the Cache la Poudre Wilderness; views from the Collegiate Peaks Scenic Byway.